The next iPhone is said to sport minor design changes, and to compensate for that Apple will be upgrading in the hardware department. Reports of a 3GB RAM bump have been doing the rounds for quite a while now, and a fresh leak reiterates the same. There is also a new video showcasing a mockup of the larger iPhone variant. Citing industry sources, Digitimes report that the iPhone 2016 will see a shift from 2GB of RAM to 3GB of RAM, increasing the demand in chips in this quarter. The report states that due to the high demand and the lack of supply, price hikes in the memory chip industry are also expected. "Increasing built-in memory capacity at next-generation smartphones, including new iPhone devices, will further ramp up demand for memory products in the third quarter, said sources, noting that the mobile DRAM capacity of the next-generation iPhone is expected to increase to 3GB from 2GB previously, while those for new Android phones are expected to raise to 6GB from 4GB," the report states citing industry sources. The increase in memory configuration is expected to be exclusive to the larger variant only, in order to accommodate more power for the rumoured dual camera setup and Smart Connector. While Apple traditionally has been releasing two smartphones every year, this year it is expected to introduce three variants - previously speculated to be called the iPhone 7, iPhone 7 Plus, and iPhone 7 Pro. 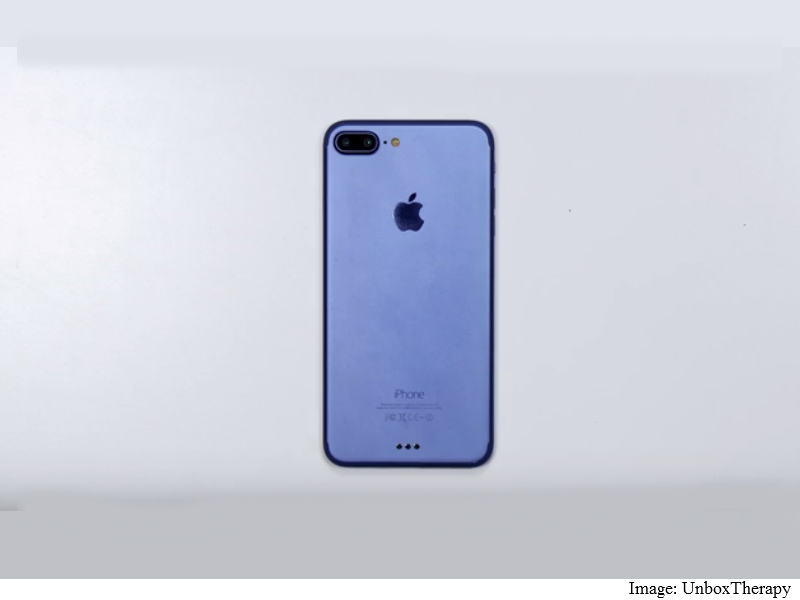 In the meanwhile, BeSound is holding a crowdfunding campaign on Indiegogo for Lightning-power Thunder headphones it is making, and the company with the help of Unbox Therapy has created a video of a mockup of what's being claimed to be the iPhone 7 Plus in a Blue colour variant, sporting a dual rear camera, a Smart Connector, redesigned antenna bands, a second speaker grille, and no 3.5mm headphone jack. Rumours surrounding the name of the next iPhone have also been on a constant see-saw. While some claim that the next iPhone will be called the iPhone 6SE because of the break in its tick-tock cycle, a teaser from a Chinese telecom operator indicates that the next iPhone will be called the iPhone 7. NewDeep Blue, and Space Black colour variants have also been tipped in various reports in the past. In any case, Apple is expected to host its launch event early September where all the official details will be unveiled.